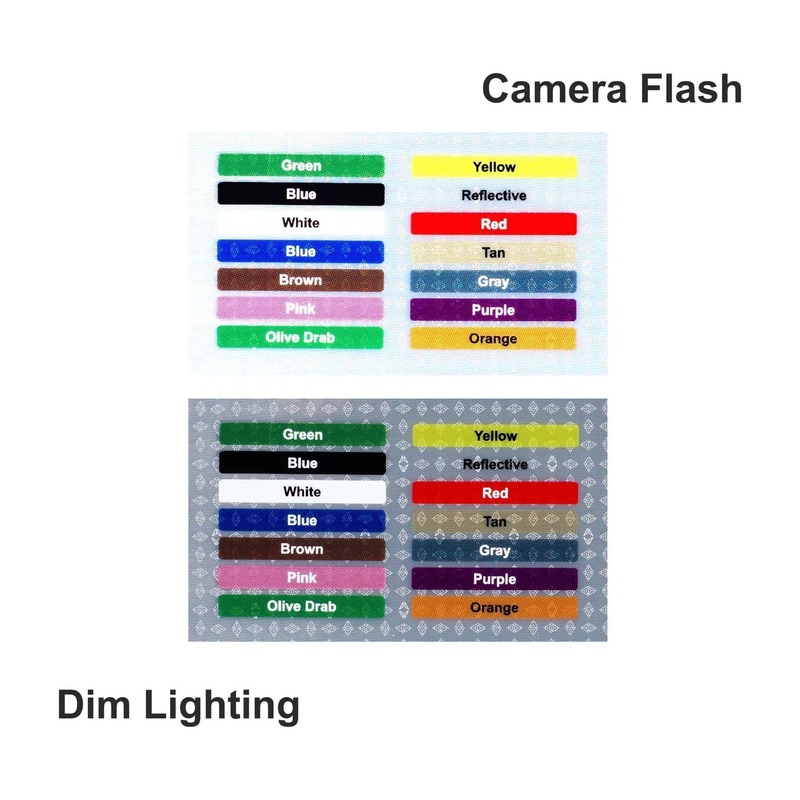 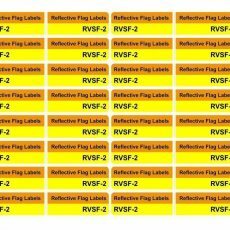 Two Stripe Reflective Small Flag Label with 2 optional stripe colors and text. 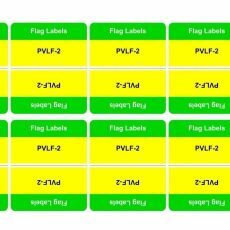 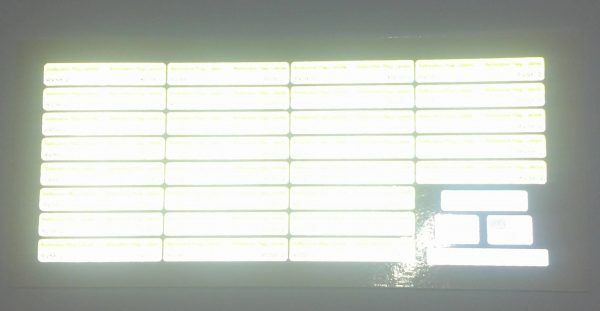 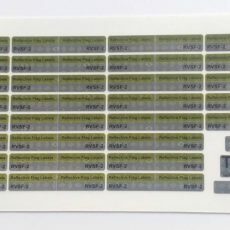 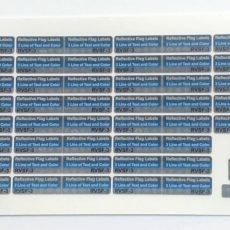 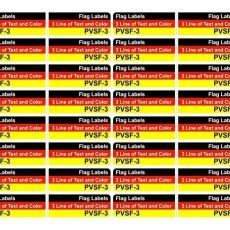 Orders are in sets of 29 labels: Quantity of 1 = 29 labels! 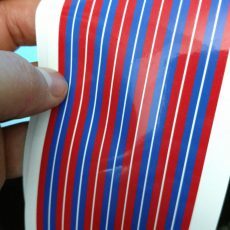 Perfect for guy lines, cords, and other small items too small for a typical labels. 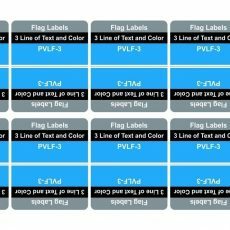 These fold back upon themselves to form a flag around the cord.